Health officials in the Portland suburb of Vancouver, Washington, declared a state of emergency last week after measles, a disease previously considered eradicated in the U.S., re-emerged and quickly spread to 20 people. The story began to gain national attention when local news outlets reported someone with measles had been to the Portland International Airport on Jan. 7 and another infected person had attended a Portland Trailblazers basketball game on Jan. 11. According to the Centers for Disease Control and Prevention, measles can be spread by coughing or sneezing and generally infects 90 percent of all non-immunized individuals who come in contact with an infected person. Additionally, the airborne virus can linger in a room for up to two hours after an infected person has left, and those infected with the disease can sometimes go two weeks before experiencing symptoms, according to the CDC. By Jan. 25, Clark County, Washington, health officials had confirmed 30 total cases of measles, 21 of them being children under the age of 11. Eight more were below age 19. Only one infected person was 19 or older. What is the saddest part of the story? None of it had to happen. Of the 26 measles cases with verified medical histories, Clark County found that none of them had been vaccinated for the disease. At the same time as this shocking news, the World Health Organization released its 2019 report of the top 10 threats to global health. Among them is the hesitancy or refusal to vaccinate. In the face of this warning, the Scroll editorial board stands with current medical science in rejecting false information about vaccines and affirming the need to immunize our children and our communities. 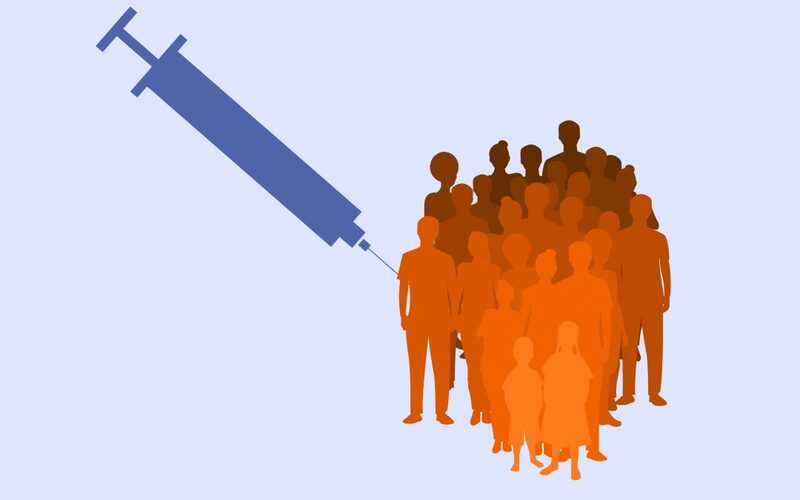 Certainly, rare cases exist when vaccination is not recommended due to specific health complications, but as a general rule the MMR vaccine, known to prevent measles, mumps and rubella, played an integral role in reducing the number of measles cases over the last 60 years. During the decade leading up to the introduction of the MMR vaccine in 1963, about 3 or 4 million people in the U.S. became infected with measles annually, according to the CDC. And again, annually between four and five hundred people died from it. After decades of running a robust and successful vaccine program, the U.S. declared in 2000 that the measles virus had been eliminated, meaning there had not been a continuous transmission of the disease within the U.S. for a full 12 months. This was quite the achievement. Nineteen years later, false reports claiming vaccines cause autism can be found littering Facebook feeds and conspiracy theory websites — all this in spite of extensive scientific research and countless studies finding no connection between the two. In fact, many of the false claims about vaccines causing autism can be traced back to the same source — the fraudulent work of Andrew Wakefield. In 1998, Wakefield authored a research series published in the Lancet, a peer-reviewed medical journal, suggesting that there was a connection between the MMR vaccine and some developmental disorders, specifically autism. But according to the academic Indian Journal of Psychiatry, his research fell into question when fellow researchers and investigative journalists began criticizing the study for utilizing a small sample size of only 12 children, not including a control group, and using inadequate data to jump to speculative conclusions. According to the Indian Journal of Psychiatry, 10 of the 12 co-authors on the study wrote a retraction in the wake of these criticisms, agreeing with the critics that the studies’ conclusions were formed out of insufficient data and could not be considered scientifically credible. This was followed up by a Lancet report that Wakefield had not released key financial interests linking him to lawyers who had been appointed to represent parents currently in lawsuits against vaccine companies. In February 2010, the Lancet completely retracted Wakefield’s paper and, according to the British Medical Journal, accused Wakefield of distorting the data to match his conclusions. The publisher also accused him of neglecting to obtain necessary clearances and using invasive methods on the child test subjects. This amounted to both an ethics violation and scientific misrepresentation, effectively destroying Wakefield’s credibility and winning his study a place alongside the greatest medical frauds in history. Although some vaccine skeptics continue to use Wakefield’s study to support their positions, the Lancet retraction makes it clear the study had fatal flaws and should never be used as a valid excuse for vaccine refusal. No other peer-reviewed scientific studies have been able to come to the same conclusion as Wakefield’s and the reasons why are obvious. It was all fabricated. Remember how 29 of the 30 measles cases in Vancouver were under the age of 19? All but one of them were born after 1998, when the fear of vaccines rooted in Wakefield’s lie began to spread. As a community of parents, friends and students, we are privileged to live in a time when close contact with vast numbers of people will not leave us vulnerable to the deadly diseases of the past. There is a way provided through the avenue of vaccines and medicine that can prevent outbreaks like the one happening near Portland. If we take the proper precautions by vaccinating our children and our communities, we need not fear.